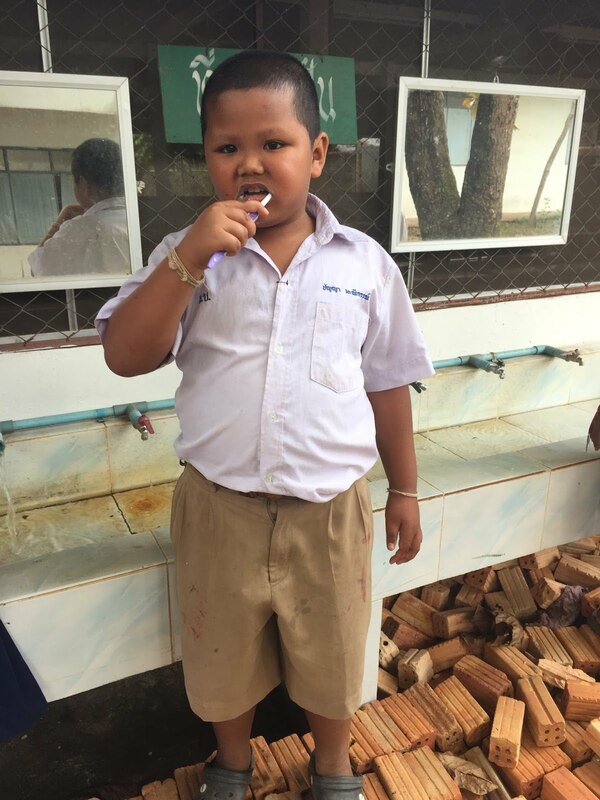 Good oral hygiene is almost non-existant for many people living in poverty in rural Thailand – there are several health complications that arise from this. Everyone should have both access and knowledge of basic oral health care. Mundo Exchange teams up with the local governments to provide dental care, education and supplies to children who are living in poverty. Mundo Exchange makes taking care of your teeth fun and educational. 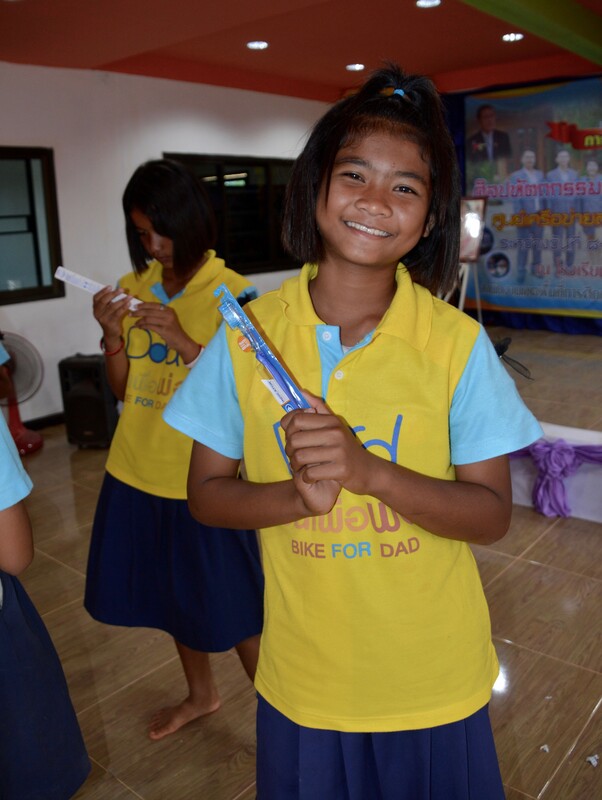 With donors like you, every child and teacher will walk out the door with a smile and a special oral hygiene kit. 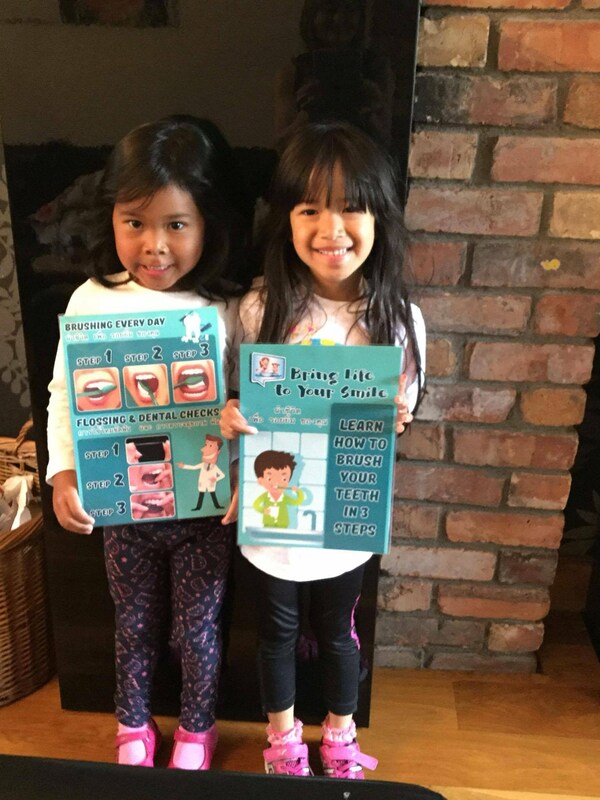 A 2010 study of children in Thailand revealed that 97% of kids aged 2-12 had severe dental decay and 95.5% already had significant gum disease. Although dental care for youth has improved in the urban areas, children with severe dental and gum decay still remains staggeringly high in rural villages where Mundo Exchange works. In 2016 at least 64% of 11-12 year olds were showing signs of significant tooth decay across Thailand. A majority of these dental problems stem from a combination of genetics, diet, poor oral hygiene, and poverty. Parents often lack the knowledge to teach their children about oral hygiene and the funds to provide proper toothbrushes and toothpaste. A few years ago Princess Maha Chakri created an oral hygiene initiative aimed at providing free dental care to children in poverty stricken areas by bringing dentists out to the Border Patrol Police Schools once a year. In 2016, 70.2% of students in these schools reported tooth pain, with 40% missing school due to the pain. No child should have a lower quality of life due to tooth decay. 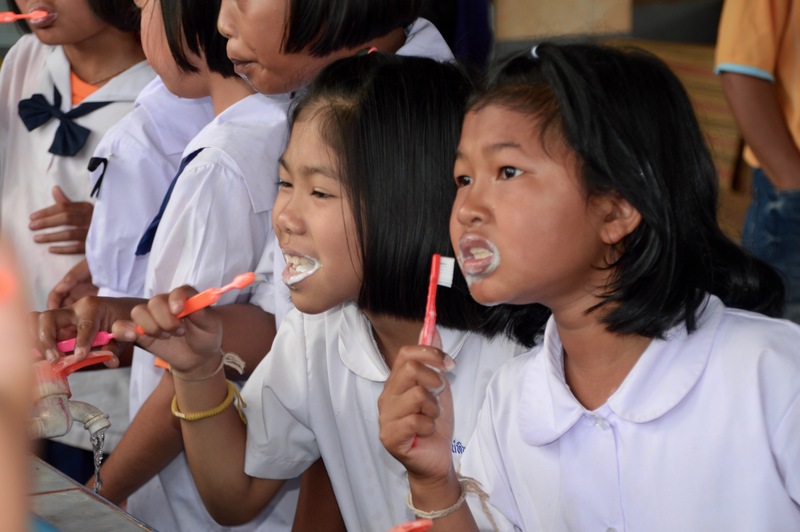 Mundo Exchange teams up with the Thai Border Patrol Police Schools in Issan to provide fun and educational dental hygiene lessons while dentists check the kid’s teeth. The students attending these schools are the often the poorest of the poor. We ensure that every child and teacher leaves the classroom with a gift bag full of toothbrushes, toothpaste, and other oral hygiene supplies. They also have the knowledge of how to keep their teeth clean and can share that knowledge with their families. Mundo Exchange also brings dental education and supplies to other schools in the area where children often come from impoverished families. Prevent tooth decay by donating a pack of toothbrushes, floss, an entire oral hygeine kit, sponsoring a classroom, or just giving from your heart. Cavities, gingivitis and bad breath aside, studies have shown that there are far more serious health complications linked to poor oral hygiene. Periodontal disease – Gingivitis is just the early warning sign of this far more serious gum disease that erodes the bone and tissue surrounding your teeth. Cardiovascular disease – Bacteria from plaque and gum disease can enter the bloodstream and harden in your arteries, increasing your risk for heart attack and other cardiovascular problems. Dementia – Gingivitis bacteria can enter the brain via nerve channels or through your bloodstream. There is a probable link between gum disease and Alzheimers Disease. Respratory infections – Infections such as pnemonia can possibly be caused by constant breathing of bacteria over long periods of time. Diabetic complications – Gum disease increases the risk of developing diabetes and worsens pre-existing diabetic symptoms. Inflamed gums make it harder to control blood sugar, leading to higher than normal levels. Stroke – Plaque build up over long periods of time will narrow the artery walls. Blood clots may also form due to your body’s negative response to bacteria in your bloodstream. Cancer – Periodontal diseases increase the risk of kidney, pancreatic, and blood cancers. Kidney disease -Studies show a link between gum diseases and renal insufficiency that can ultimately lead to kidney failure. Rheumatoid Arthritis – People with gum disease are four times more likely to develop Rheumatoid Arthritis. Out of the top ten causes of death in Thailand, SIX of them are directly related to poor oral hygiene. It is critical that young kids learn how to take care of their teeth early on so that they can protect themselves from these debilitating, life threatening and fatal diseases later in life. With your help we teach children how to care for their teeth and gums, and give them the tools to do it, improving their lifelong health. Your donations help impoverished children maintain a healthy smile.